Deemed as one of the most historic country houses in Suffolk, Ravenwood Hall can trace its roots back to the reign of King Henry VIII. It stands in seven acres of grounds a short drive from the A14 and is now a great favourite for social occasions and weddings (the Pavilion is much in demand for celebrations and events). 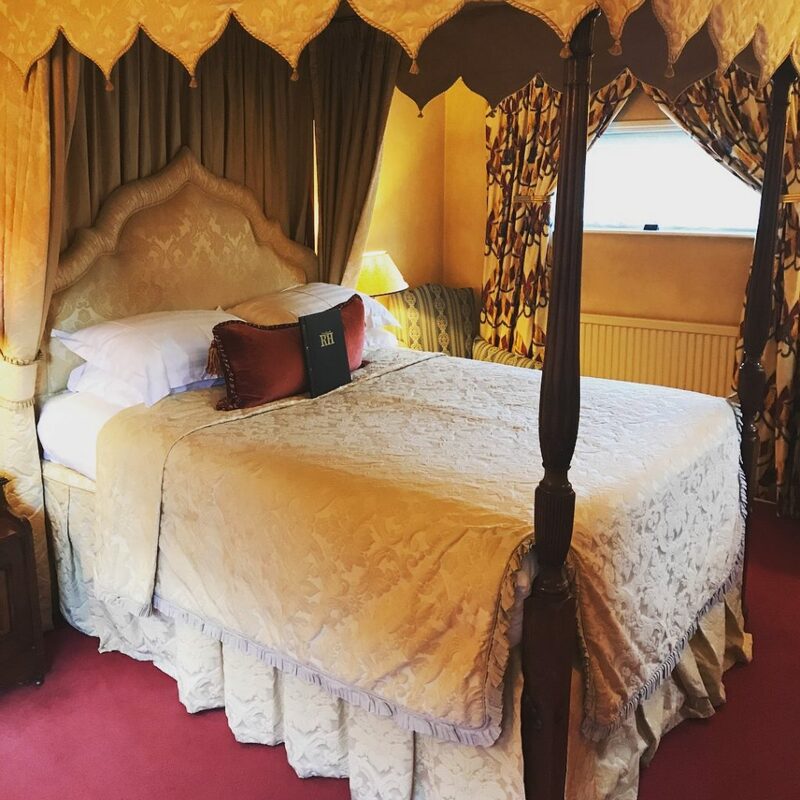 There are fourteen impressive bedrooms, furnished with antiques reflecting the history and tradition of Ravenwood Hall. We stayed in the ‘Saxon’ room, which came with a very grand four-poster bed and all of the modern comforts you’d expect, including wifi. 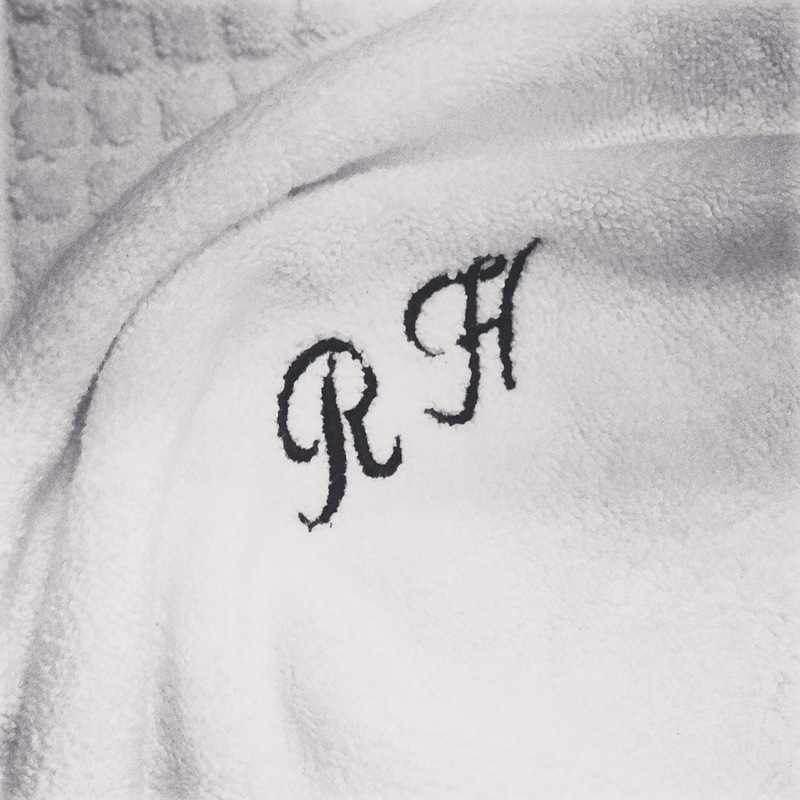 The bathroom homed a large tub, which I was sure to take full advantage of and even had its own chandelier, plus, my future initials were on all of the bath towels, “RH” (Rachel Hunt) fancy that! The history of Ravenwood Hall is actually very much shrouded in mystery, nobody, not even expert researchers can be sure exactly who built Ravenwood Hall, formally known as The Rookery. But, there are clues; it’s believed to have been built around 1530 during the reign of Henry VIII for a woman of some local importance. 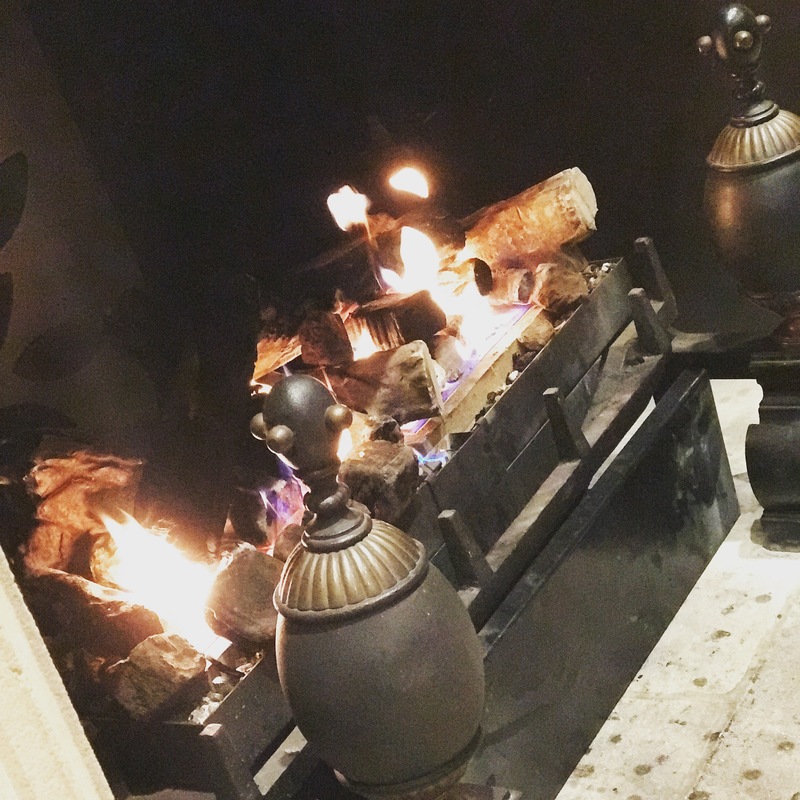 Inside, the hall has been impressively restored, with much of its carved oak framework retained, along with rare fifteenth-century paintings and inglenook fireplaces, which were lit and roaring upon our arrival. 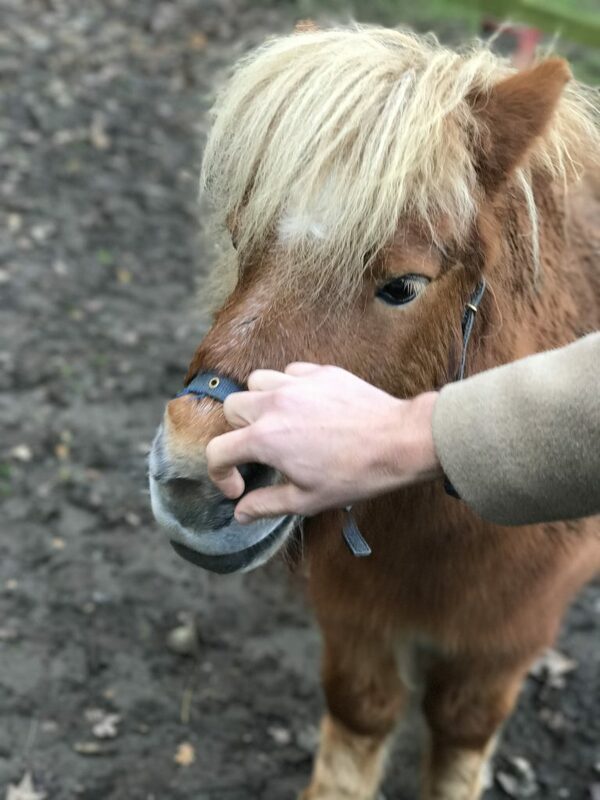 Speaking of which, as we pulled up in the car park we were pleasantly greeted by two gorgeous Shetland ponies, a goat, chickens and geese, we certainly didn’t expect that! It was clear from the outset this wasn’t your usual kind of place to stay. It’s dog friendly too, which is great to hear, as we love to take our canine companion Archie with us wherever we go. Owner, Craig Jarvis, purchased Ravenwood Hall 30 years ago, he also owns The Wild Duck in Norfolk. An old rocking horse overlooks the staircase, and the tartan carpets give the hall a ‘lodge’ feel. You can see very subtle glimpses of the ‘Jarvis family’ all over the hotel. In fact I found myself sitting next to the family photos in the lounge, it was almost like being in someone’s living room! I even recognised artwork by his niece Emily on display in the bar area, her modern paintings create a more contemporary atmosphere to the vintage portraits found in the dining area. 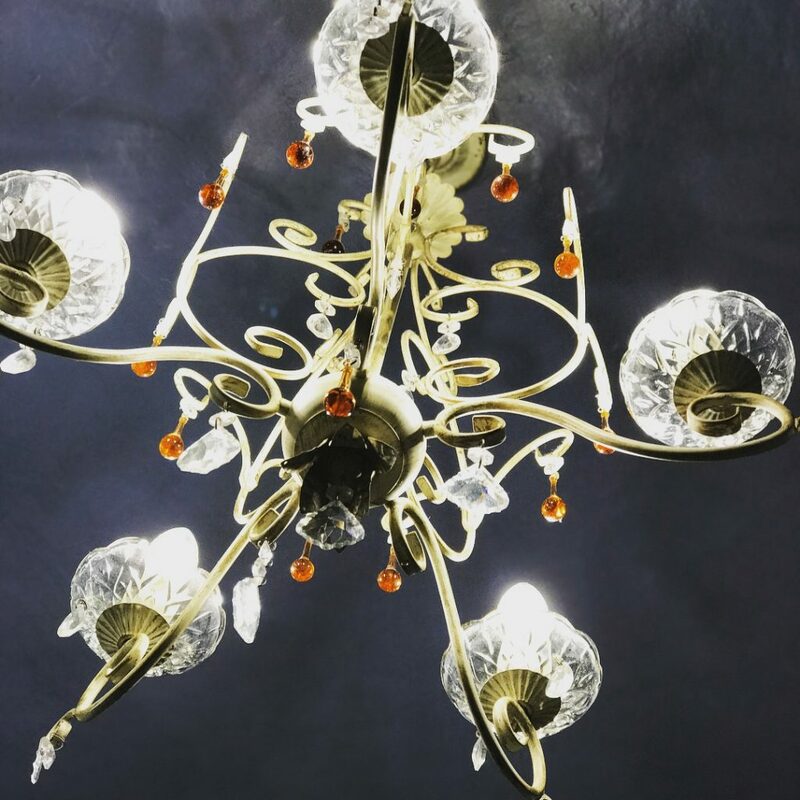 The stately beamed Tudor restaurant fully lives up to its name, and it provides an atmospheric backdrop for the modern menu. 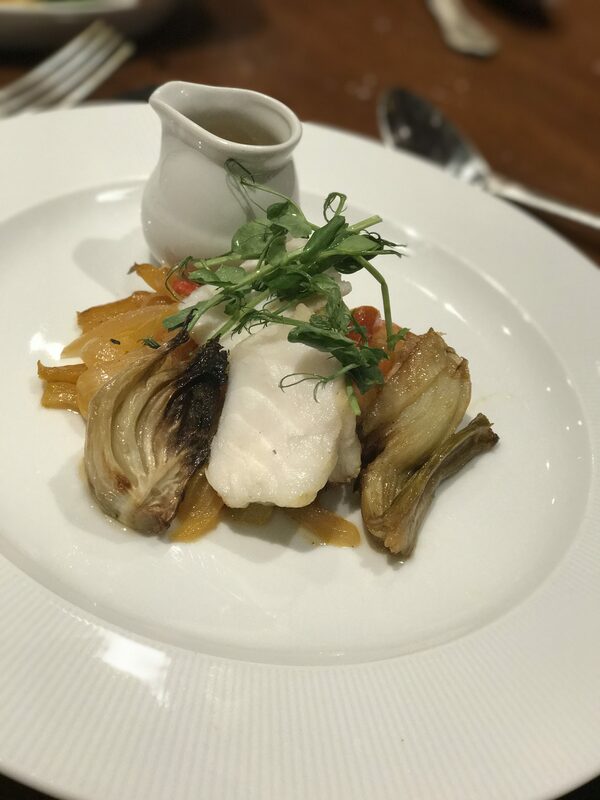 Amongst the starters, you will find options such as seasonal ‘Roasted Pumpkin and Coriander Soup’, ‘Crab & Parma Ham Cannelloni’ and ‘Pan Roasted Quail’. On this occasion, my partner Sam selected the ‘Roasted Chestnut Risotto, with Roasted Chestnut, Truffle, Parmesan and Toasted Pumpkin Seeds’. 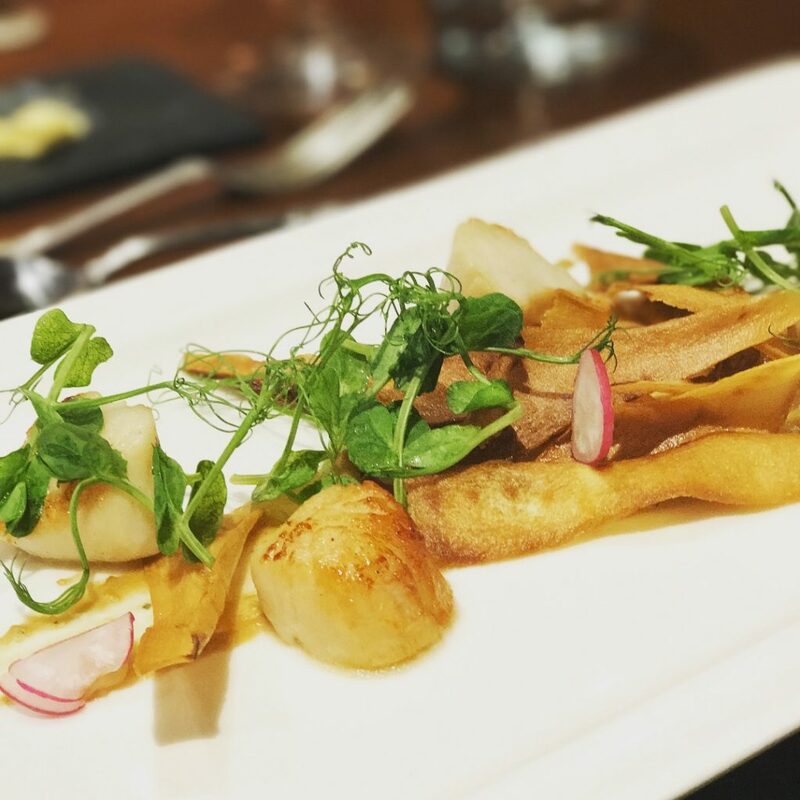 I opted for the ‘Pan Fried Scallops’, which were served with Spiced Peanut, Parsnip Crisps, a Lime Gel, Radish and Baby Coriander. It looked very pretty on the plate! Ravenwood’s food can be described as “English with a modern twist”. The menus are a combination of unique dishes alongside some old favourites that everyone enjoys. They are changed frequently according to the seasonal availability of locally sourced ingredients, which is always good to know! On to the main event and we were in the mood for fish, luckily there were more than enough fish dishes to choose from. If that wasn’t enough, it was on to dessert and our arms were very much twisted after taking another peek at the menu. 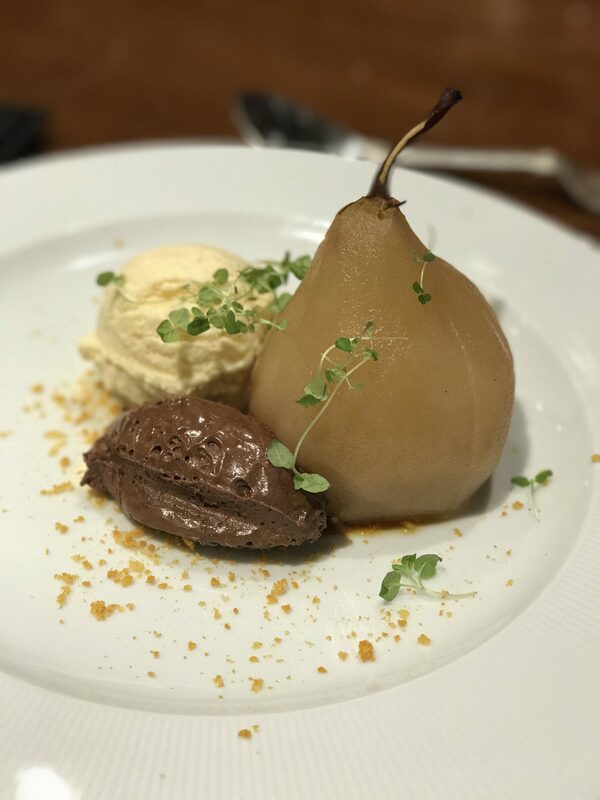 Whilst we usually like to ‘mix things up’, (so we both get to try more than one dessert), the ‘Chocolate & Pear’, which came with Malted Chocolate Mousse, Poached Pear and Whisky Ice Cream. stood out from the rest. As a first for us, we both selected this item, the only difference was, I was first to finish! After the meal, there was only one thing to do and that was to retire to our four-poster bed and with a cuppa in hand. If you love your history and feel the need to escape to the countryside, Ravenwood has it covered.